Would You Give Up Your Email For A Slice Of Pizza? (Snapshot from the Leading Through Disruption Summit) - Hotspex, Inc.Would You Give Up Your Email For A Slice Of Pizza? (Snapshot from the Leading Through Disruption Summit) - Hotspex, Inc. I was lucky enough to spend a couple of days with cutting edge insights leaders at the Leading through Disruption Summit at the Wisconsin School of Business. Radical User Focus:Focus on the user, and everything else will fall in place. This is so common sense, but let’s face it, we could use a daily reminder of this, couldn’t we? Culture & Innovation: If your organization has a culture of punishing failure, you will fail. If you’re not failing some of the time, you’re not trying hard enough. What organizational culture are you building? Sales Problems: One of the best comments of the day came from a panel where one of the leaders said “if you have a sales problem, there is a good chance you probably have an insights problem”. 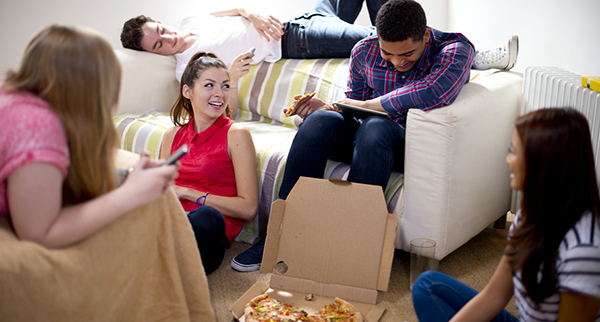 Pizza or Privacy:A recent study showed that 98% of college students gave their best friend’s email for a free slice of pizza. According to one of the speakers, the US ranked 6th out 180 countries in terms of willingness to give away data. Mobile Advertising: A study demonstrated that while mobile purchases may only account for 4-5% of total sales, 35-40% of purchases can be attributed to mobile search. Mobile advertising is growing in prominence and the key is to deliver ads with high relevance at a low frequency. Out of Home Advertising: Out of home advertising is growing and in a study in Japan, there was a 400% increase in mobile redemptions when consumers were exposed to a billboard and served a targeted ad with an offer. How can you leverage OOH and digital together to create more relevant offers to consumers? Trajectory Data:A study demonstrated that trajectory based targeting has a much higher ROI than location based targeting and randomly served mobile offers. Is there an opportunity for you to leverage the trajectory data, OOH, and mobile together to deliver relevant offers and experiences? Personal Space and Purchases:In spaces where crowd density increases, like a busy subway car, purchase rates increase, as people use their phone to create a private space, and are more likely to respond to a well served ad. Digital Well Being: With the staggering amount of time we spend in front of devices, “digital well being” is something that we are starting to take more seriously. Relationships and Self Orientation:Building strong and meaningful relationships within your organization is key to influence and progression. The trust equation points to the importance of minimizing self-orientation, so the key is to focus on the other person instead of yourself. Once again, the team at the Wisconsin School of Business put on an incredible summit and the students and alumni shared incredible ideas, insights, and inspiration.